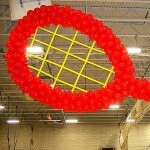 20' long, 10' wide balloon sculpture of tennis racket for a competition. 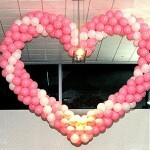 The production was relatively simple compare to the hanging process. But we have managed! 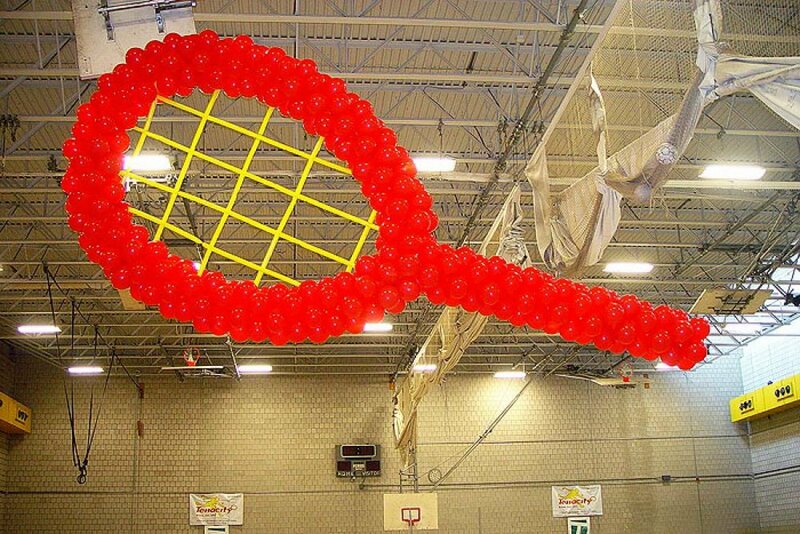 For some reason, the tennis racket strings, made out of long balloons (usually used to twist the balloon animals) surprised more people than the balloon sculpture itself!